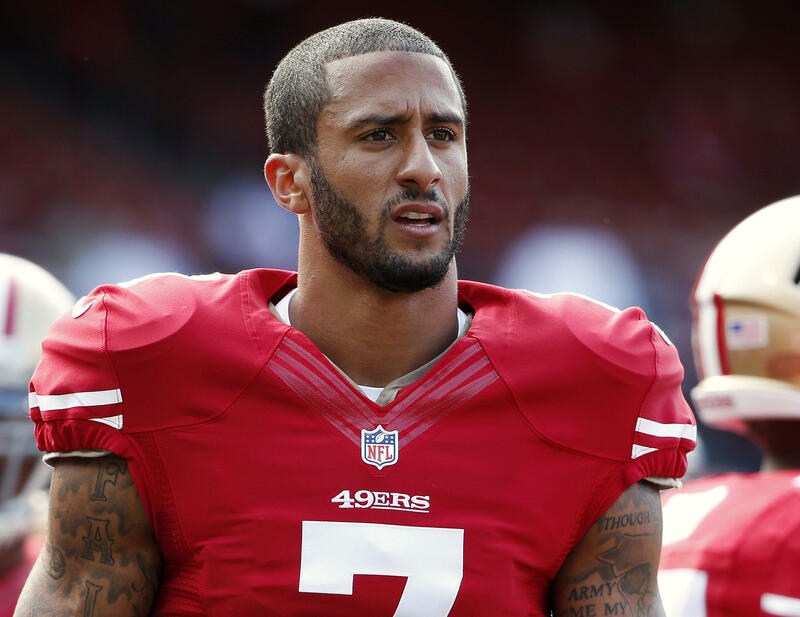 SANTA CLARA, Calif. -- San Francisco 49ers backup quarterback Colin Kaepernick, who has become a key figure in a growing protest against racial inequality, had a harsh assessment of Hillary Clinton and Donald Trump a day after the first presidential debate. Kaepernick also responded to a statement Trump made during an August radio interview in which he said Kaepernick’s anthem protest wasn’t “a good thing” and that the athlete might want to find a country that works better for him. The quarterback has previously said he will continue to kneel during the anthem. “When there’s significant change and I feel like that flag represents what it’s supposed to represent, this country is representing people the way that it’s supposed to, I’ll stand,” he said.